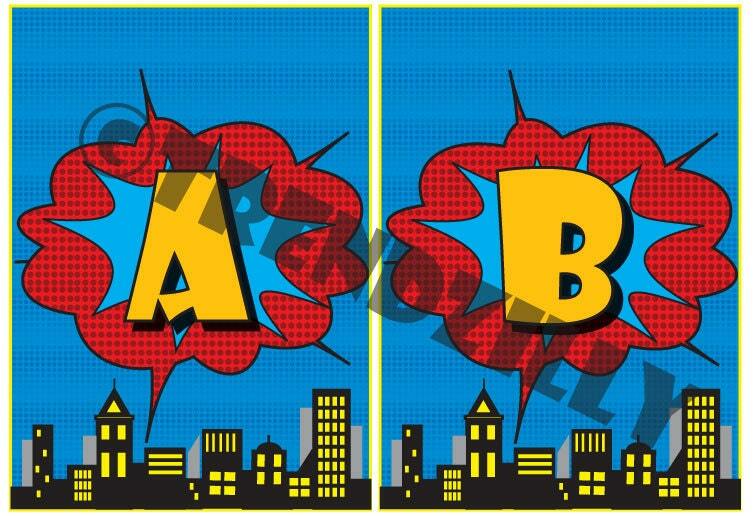 Superhero Birthday Banner Alphabet Add-On, Personalized Banner, Comic Book Banner, City Scape, Printable Instant download. Superhero Happy Birthday Banner Alphabet to personalize your banner, you can print out the letters to spell your child's name. Each piece is 5"x7" with the letters being about 2 1/4" tall. Printable download. 2 Letters per page.